Southern Maryland Best Buys: Are "Pocket Listings" Bad for Sellers? I think pocket listings are a nice way to pick up a sale here and there from an uncommitted Seller. But the concept that a listing in MLS presents an opportunity for an auction environment should never be overlooked or undervalued. The exposure might reach just the right Buyer who pays more! There are advantages and disadvantages to giving a real estate agent a "pocket listing". If you are a celebrity, prosecutor, judge or someone that wants strict control over who will see their home a "pocket listing" may be for you. If you want to be certain that only financially qualified buyers see your home and you have a specific vetting process for buyers then a "pocket listing" may be for you. If you are a seller that is looking for full market exposure and the "highest and best offer" then a "pocket listing", or "off MLS listing" might not be the best choice. If you are in a "low inventory" real estate market and you are a seller a "pocket listing" is likely to cost you more money than it saves you. Be sure to talk to your real estate professional about the pros and cons of a "pocket listing" or "off-MLS listing" before you commit! For more information about "pocket listings" go to www.VirtuosoBroker.com and this post on "pocket listings". Maya M. Thomas, Realtor, Sellstate Island Properties, 1101 Simonton Street, Key West, FL 33040, call 305 522 1398. Find me on Facebook, LinkedIn and on Twitter. 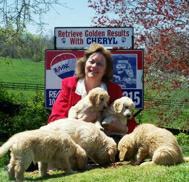 Post © 2019 Cheryl Ritchie, Southern Maryland 301-980-7566 (RE/MAX Leading Edge www.GoldenResults.com). Design © 2019 ActiveRain, Inc. All rights reserved, Inc.